Are you interested in being a content writer? Content writing has exploded in recent years. [O]n top of having dedicated employees, the average mid-sized company has a bit more than 10 contractors working on their blog. More and more businesses are relying on content writing to help them gain leads and boost sales. And when content writing becomes more of a necessity, then content writers become more essential as a team member for businesses. 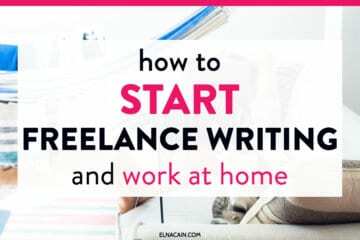 This is the perfect time to become a freelance writer for hire. 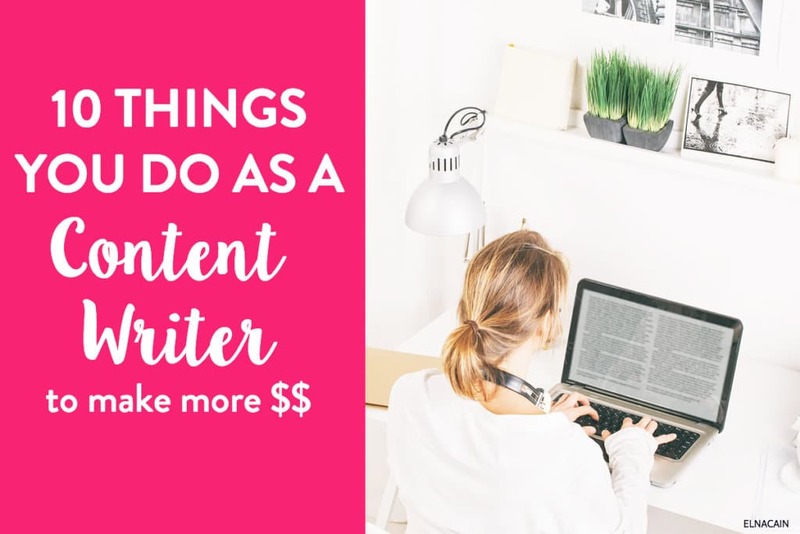 So, if you’re wondering what exactly does a content writer do and what do they write, this post is for you. Content writing is a form of online writing that blogs and business use as a marketing strategy to grow their business. Bloggers use content writing to increase their website traffic, increase sales from affiliate marketing and grow their email list as a way to nurture leads into their products and services. Businesses use content writing as their lead generation strategy to onboard new customers and introduce them to their products. In essence, every business needs a blog, and every blog needs a writer. SEO stands for search engine optimization and is the process of creating content that ranks in Google. This is organic traffic and is a sustainable form of traffic for bloggers and businesses. For high-tier clients, SEO writing isn’t the type of content they seek. Most seek SMO writing (that we will get into shortly). So, when searching for a freelance writing job you’re going to see low-paying gigs wanting SEO content writing. SMO writing is social media optimized writing. 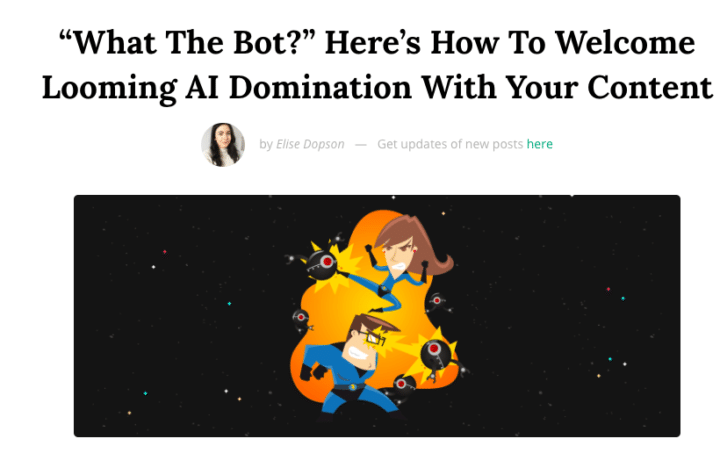 This is content that’s for social media or for actual readers and not for Google ranking potential (although this type of writing does get ranked in Google). This type of content uses engaging headlines and engaging introductions. A great example of SMO writing is any blog post on Smart Blogger and Blogging Wizard. Content like this gets shared on social media over and over again. And for many businesses, this is their strategy to gain traffic and leads. And this is the type of writing I do for myself and for my freelance clients. A content writer is considered a freelance writer in that they provide online writing for businesses, brands, solopreneurs, start-ups and more. What defines you is the type of writing you do. Since I mostly provide blog writing, the content I supply to clients is SMO blog writing. 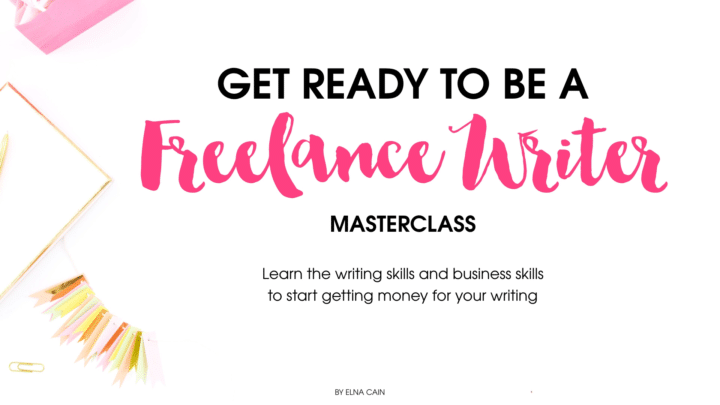 But there are other forms of content that you can offer when you start your freelance writing business. Let’s look at four high-tier types of content you can offer on your Hire Me page. Website copy refers to the pages on a website. Examples might be an About Us page, Pricing page, Product page, Features page, Contact page and landing page (or Home page). For a lot of new businesses or start-ups, they may not know how to open up their business to the online world. So they will hire a freelance designer to design their website, and they will hire a content writer to write their pages. To add more value to this service, you can learn more about conversion copywriting, which entails wording that helps a customer move down the buyer journey. It’s the type of writing that entices and excites a reader to want to sign up to a service or buy a product. Businesses will pay top dollar for that type of service. Email marketing is a nurturing strategy for businesses. Their goal is to turn a customer into a buyer, and email can do that beautifully. Once a person signs up to a company’s email list, they are given a series of automated emails that educates them, agitates them and excites them into buying their products. Email marketing writing relies heavily on copywriting and when you can show a client that your words converts to dollars, you bet your value will skyrocket, and you will be attracting clients that will pay you double or more for your writing. For example, Neville wrote one email for AppSumo and made the company $10,000. Not bad, eh? A landing page is a destination page. For example, you click to this page from Facebook or Twitter or in an email. Once you click that link, it takes you to a landing page. Landing pages have one focus and one mission – it can be to sign up to an incentive, schedule a coaching call, get on a waiting list, buy a product etc.. This type of content writing relies on copywriting as well. Again, you want someone reading your landing page to get interested and excited about what you are offering. 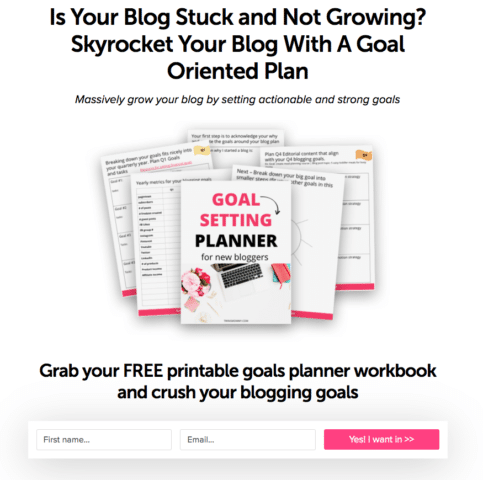 Over on my other blog, I use a proven template for my pages (they aren’t necessarily landing pages, but they work well for me). 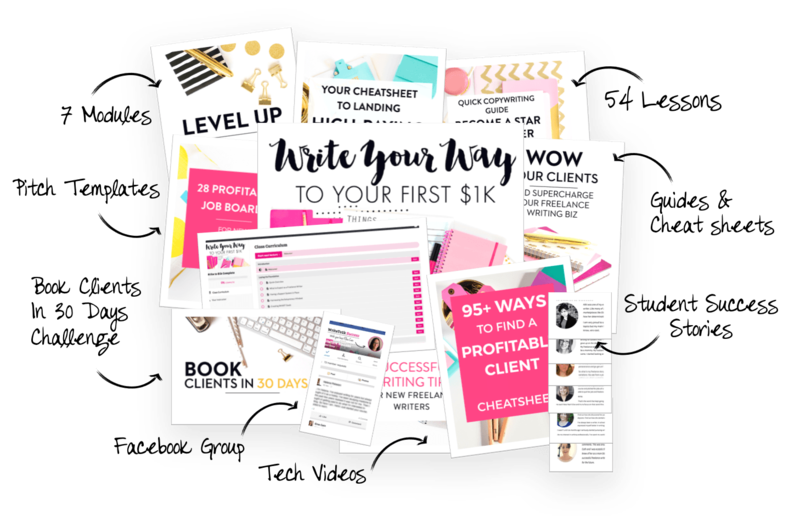 Bloggers, brands, and small businesses may hire you to write their landing page copy, and this type of content writing is high paying! If your client has digital products, they may hire you to write it up. For example, many bloggers and businesses have online courses. They may hire a freelance writer for course writing. This is a huge project and well paying, but requires a lot of time and commitment. What Skills Do You Need to Be a Content Writer? As with any type of freelance writer, a content writer needs to understand the online user intent and the online audience. Once that is achieved, then writing any type of content should be easy. User intent refers to the intention of a user when they are typing a search query into Google. For example, two people can search for a capsule wardrobe on Google, but both of them have different user intent. One person wants to know what items are best for a capsule wardrobe, and the other person wants to know what a capsule wardrobe is. If your client is in the decluttering industry, it’s up to you to figure out the purpose of your blog post and make sure it aligns with the right user intent. 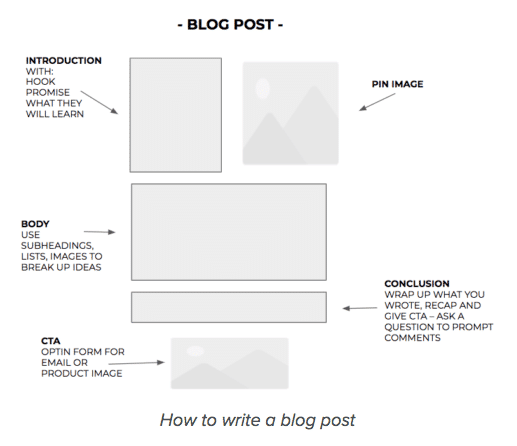 You can easily convey user intent with your headline that you use for a blog post idea. As you can see from these two titles, the post will have a completely different intention for the reader. 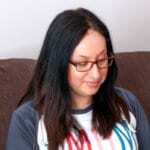 One will teach them all about what a capsule wardrobe is – an overview of every aspect of a capsule wardrobe, while the other post is more focussed on creating the best type of capsule wardrobe for a user. The audience will be the ones reading your content, and it’s up to you to speak to them in a way that will get them to take action. The role of a content writer for a business is to help that business make more money or save them time. 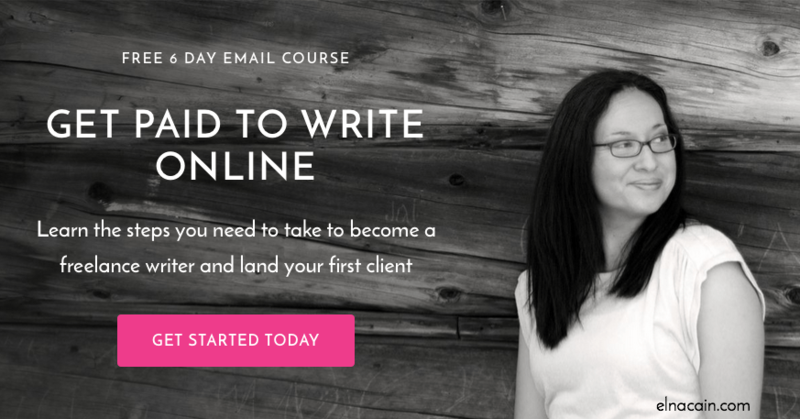 In my Freelance Masterclass, I dive into understanding the audience of your client. Most of your content will probably be blog writing as a way to break into content writing for businesses. I absolutely love blog writing. For me it’s more conversational and casual. Many of my clients hire me because of how I write blog content. 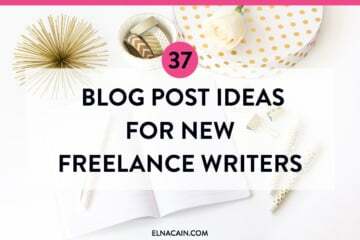 Once you figure out the recipe for blog writing, your samples in your portfolio will get you gigs easily. Content writing relies on getting the attention of the reader. It occurs first with the headline and then with the first sentence. If you can get a reader to read the first sentence, then your goal as the writer is to get that reader to read the second sentence and so on. What I like to do for my client pieces and my own content is to ask a question or tell a “yes” story. This is a story that a reader nods “yes” because it’s highly relatable. The alarm on your phone goes off. Time to get up, shower, grab a bagel and coffee for the road, and drive to work. It seems every day you’re on autopilot. There’s no need to think – just do. For many people, having a traditional 9-5 job, while being somewhat secure, is not what they envisioned it would be when they signed up for it. You may only get two weeks for vacation; the pay is lousy, the people are a bunch of gossipers and the work – well, let’s just say you don’t really need your degree to do what you’re doing. More and more people are starting to move away from a full-time job, especially Millennials. Climbing to the top in a company isn’t an expected career path anymore. Most of your freelance writing will be for online content. Understanding content writing is important. For example, within blog writing, there is long-form content, in-depth content, product reviews, listicles, etc. It’s up to you as a freelance writer to stay on top of the content industry. For me, I read up on content marketing to ensure I’m up-to-date with everything! I love writing and blogging and I’m so happy I’m able to have my blogs, write guest posts for other blogs and get paid for my blog writing! If I missed something, please share in the comments! Over to you – are you a content writer? Hi Elna, thank you so much for this informative post. I am a newbie content writer I only have a marketing blog with few blog posts. My question is, how do I know which content to go with and how should be the pricing strategy for my content? You’re welcome! So glad you found this post helpful! As far as which content to go with, I would make sure you are reading other content marketing blogs and gathering ideas for future projects and blog posts. You can also use Buzzsumo to check what is popular in your niche topic! As for a pricing strategy, I tell my writers for blog writing to price at around $.10/word. All other types of copy like website copy, landing page copy goes up! Just wanted to say thanks for mentioning Blogging Wizard – much appreciated!